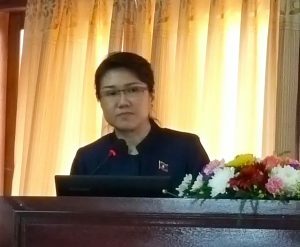 The Lao Government and the development partners have a yearly coordination meeting which is the Round Table Implementation Meeting (RTIM) in order to prepare for that meeting which is scheduled to take place in late November in Champassack province, the Ministry of Planning and Investment (MPI) invited for a pre-consultation meeting on October 27th 2017 which was chaired by H.E. Dr. Khamlien Pholsena, Vice Minister of the MPI, and H.E. Ambassador Léon Paul Faber, Head of the Delegation of the EU to the Lao PDR. As Laos has entered a development stage where private sector investment is becoming more important than official development aid, the meeting focused on the business enabling environment.The government plans to elevate Laos’ ranking in the Ease of Doing Business table from its current position at 139 to within the top 100 out of the 190 countries assessed, by the year 2020. ECCIL was represented by its Executive Director, Dr. Ramon Bruesseler, who commented on the investment law.